A new toy from the land of LEGO has a simple shape with endless possibility for play. 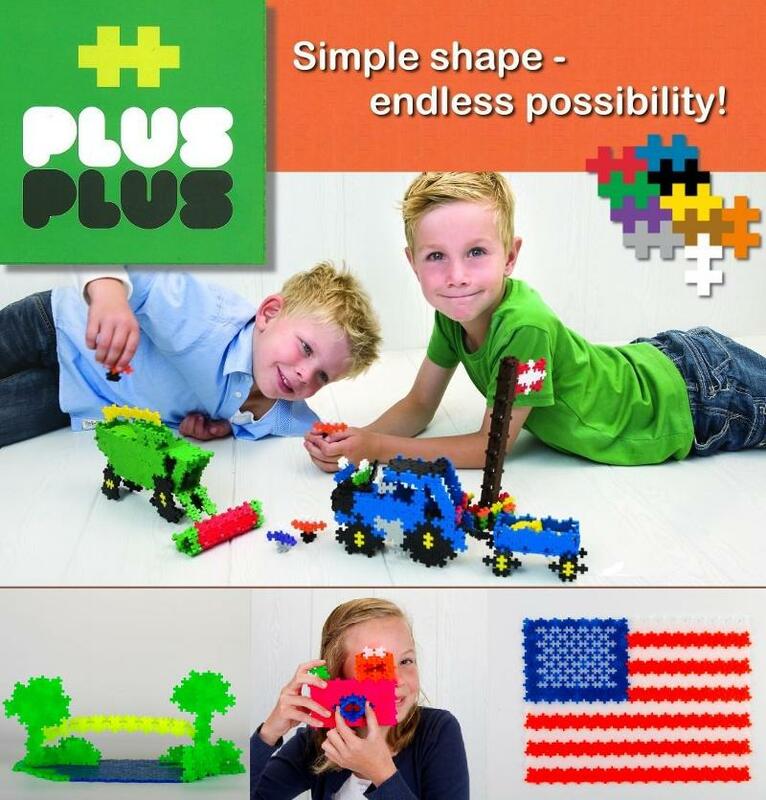 Three-year-old toy company Geared for Imagination introduces Plus-Plus, a new construction toy that’s simple enough for a young children to make flat 2-D mosaics, yet able to grow with their imaginations, allowing them to create elaborate 3-D structures. Designed and manufactured in Denmark –the country where the LEGO toy company was originally founded- Plus-Plus is also fun and addictive for adults, too. Playthings magazine recently selected Plus-Plus as a Toy of the Week! Sets are available in 100, 300, 600 and 1,200 pieces. Through a network of retail outlets around the United States, including gift shops, toy stores, museum shops and many more types of retailers, we strive to deliver the kinds of products that we want our kids to play with.